• Garam masala powder - 1/2 tea spoon. • Lemon juice - 1/2 number. • Curd - 2 cups. • Onion (slices) - 3 numbers. • Basamathi rice - 500 grams. • Whole garam masalas (each) - 5 numbers. • Bay leaf - 2 numbers. • Mint leaves - 2 bunch. • Coriander leaves(chopped) - 1 bunch. • Food colour - pinch. • Atta dough - 1 cup. • Chicken - 1000 grams. In a bowl add chilli powder, salt, turmeric powder, garam masala powder, coriander powder, ginger garlic paste, lemon juice, oil, mix well. Then add chicken, mint leaves rub the chicken well with this masalas and pour curd do not mix the curd, keep in the fridge for overnight. Boil Rice. In a muslin cloth add all the spices, wrap it and keep aside. Now in a pan add oil then add chopped onions, salt, cook until slightly golden brown colour once it is done remove if any excess oil, and also half of the onion. Now spread the balance fried onions and pour the marinated chicken spread it equally, and put the wrapped masala dry. Now spread half of the rice, onions, mint leaves, chopped coriander leaves, now spread leftover rice, onions, coriander leaves. Finally, sprinkle colour close it with a lid but the steam should not come out for this take a chapati dough and make a thread put an out the dish and close it with the lid and put some weight on top of the lid to avoid the steam. Cook for 30 to 45 minutes. Now khan biryani is ready to serve. The Khan biryani is yet another elaborate and exotic rice delicacy made of marinated spiced chicken. Chicken pulao is a scrumptious Pakistani main course recipe that has gain popularity around the world. A well-known south Indian food, Chicken Pulao is a delicious dish made from chicken. In Indian wedding party the add-on of this recipe is essential. Chicken Pulao is a simple rice food made in exclusive Hyderabadi style. The me... Read More..
Chicken pulao is a scrumptious Pakistani main course recipe that has gain popularity around the world. A well-known south Indian food, Chicken Pulao is a delicious dish made from chicken. In Indian wedding party the add-on of this recipe is essential. Chicken Pulao is a simple rice food made in exclusive Hyderabadi style. The meal is appreciated as main course throughout India and particularly in Hyderabad. A tasty mixture of basmati rice and chicken pieces along with amazing blend of spices produce a combo that's difficult to avoid. Mainly roadside dhabas or stalls provide this food for the afternoon meal. The marinated chicken with spices is exactly what ups the flavour quotient of the dish. It tastes ideal together with the yoghurt and made with simple stir fry method. The key ingredients essential here's certainly chicken. Another ingredient you ought to learn about are butter, chopped onion, curd, rice, bay leaf, cinnamon, cloves, cardamoms, garlic, ginger red chili powder, coriander seeds powder, cumin seed powder, turmeric, poppy seeds and fresh coconut. Pulao is a rice-based recipe which frequently includes ingredients like veggies and/ or meat. Long-grained rice versions like Basmati can be used to make Pulaos. Occasionally the rice along with other ingredients are prepared collectively in spices and broth, although maybe the rice is par boiled and also the plant and/ or meat are cooked in the spices and the rice is then included and stir-fried together. There are actually quicker methods to make pulao like on pot quality recipes and many others but to acquire the vibrant taste that's anticipated out of this traditional recipe is only possible if you make chicken stock individually after which combine it with the tarka. Chicken Pulao is savory and mind-blowingly yummy. Its spices and popping flavors broken inside your mouth with each and every bite, having a moderate sweetness from the raisins plus a crunch from the roasted nuts. Will go perfectly with sweet and spicy cucumber yogurt. Chicken pulao is lighter, simple and fast substitute for chicken biryani. The main distinction between chicken pulao and biryani is, in pulao chicken and rice are cooked collectively along with biryani chicken and rice are cooked separately after which layered collectively and cooked once again. Chicken is regarded as the popular kind of poultry in the world. Most every part of Chicken makes delicious dishes. Mainly are Breast, leg and wing. And others are feet, head, kidney, neck, oysters, etc. Chicken bones are harmful to health because they often get into sharp splinters when consumed, but they are often simmered with veggies and herbs for long or maybe days to create chicken stock options. In Asian countries, it's possible to purchase bones because they are quite popular for making chicken soups. Breast meat is usually sliced very finely and sold as chicken slices, a hassle-free stuffing for sandwiches. Chicken wings sometimes serve as Bar food. Chicken dishes can be cooked in lots of ways. It can be converted to sausages, grilled, breaded, skewered, use in salads and deep-fried, or can used in various gravy base. There are actually countless versions of the chicken dishes recipe and can be prepared using various seasonings to provide unique amazing tastes and flavor in different cultures. Traditionally popular recipes involve roasting, baking, broasting, and frying. Western delicacies generally have chicken cooked by deep frying for fast foods like Fried Chicken, Chicken 65, Chicken Lollipops, Buffalo Wings, etc. They're also normally barbequed for Salads or tacos. From delicious roasted chicken too crunchy, fried drumsticks, this is continuously being reinvented and found in satisfying casseroles and stand-alone recipes for exceptional weeknight dinners. No matter if it is grilled, sautéed, baked, or roasted, we've plenty of Chicken recipes that are really easy to make and tempts everyone because the fragrance and aroma lingering across the kitchen while preparing wants for more. Other than to be a very flexible meat in terms of cooking, chicken also assures great health advantages. Chicken is a superb way to obtain lean, low fat protein. It's also full of selenium, a chemical recognized for its anti-cancer properties. Your skin layer of the chicken is recognized to contain the maximum fat; for that reason, skinned chicken is liked by many. Loved this recipe sanjay! Ur an awesome chef.. U really inspire others to discover the joy of cooking? 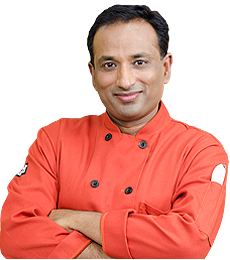 Thank you Sir for making the cooking seem so easy and the biryani so tasty. Will definitely try it. But for a person who is trying it for the first time - ingredients WITH quantities would be a great help.? It luks yummy. .Especially the chicken pcs. .wil try it today. . ? Your so right. Love your story and your food ? i have to pepare this biryani for 6 to 7 person.you don't tell us quantity.this thursday some gust will comeing on dinner in my house for my inlaws side i am going to preaper this dish for them.? Wow. Amazing..Gonna try this. Jai Hind.? Awesome you are great, Sanjay ?